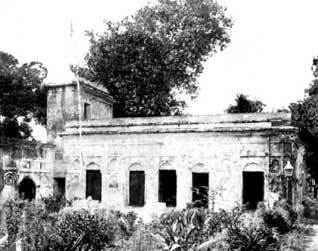 The historic 19th century Fort is gradually losing its grandeur and architectural identity. Kids now play cricket in the prayer hall. I discovered it to be a closed-down school that once used to be a gurdwara. There are nearly 50 tombs with statutes of Sikh soldiers guarding them. The Pakistani Waqf Board has constructed six vegetable shops by destroying the ground floor.